Although growing older often means finally enjoying such pleasantries as retiring after years of hard work and being able to spend more time with family and friends, it isn’t always an easy process on your body. For instance, older adults tend to have weaker immune systems and higher levels of inflammation, both of which can contribute to the development of major and potentially life-threatening health conditions like cancer and various other diseases. To understand how this occurs requires that you also understand a little bit about gut health and its effect on your body as a whole. Recent research is finding that your gut microflora, which is essentially the good and bacteria in your stomach and intestines, has a pretty big influence on your overall health and wellness. In fact, several studies have linked gut health to the amount of inflammation you have in your body, which means that having the right balance of bacteria is essential to obtaining and maintaining maximum health. Also, the good bacteria in your gut often decline with age, which is where probiotics come in. 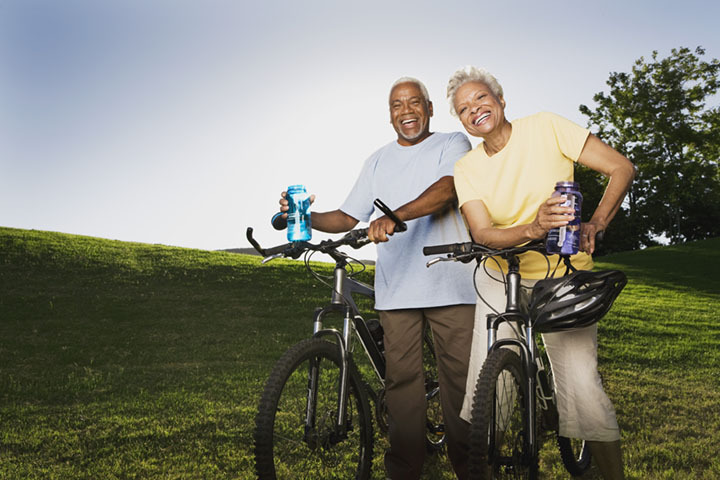 A study published in the Journal of the American College of Nutrition looked at 34 adults between the age of 65 and 80. Over the course of 13 weeks, participants went through various periods of taking probiotics (Lactobacillus gasseri KS-13, Bifidobacterium bafidum G9-1, and Bifidobacterium longum MM-2, specifically), not taking probiotics, and taking placebos, with blood and stool samples being assessed to determine levels of inflammation during each timeframe. During periods of probiotic and placebo use, which were three weeks in length, this required taking one pill twice a day, once in the morning and again at night. Researchers found that, with the probiotics, the individual’s levels of CD4+ lymphocytes, which are glycoproteins found on immunity enhancing cells, remained the same, as opposed to declining during periods of placebo use. The same was found with CD3+ lymphocytes. Participants also had an increase in their cytokines when taking probiotics, which suggest that they had lower levels of inflammation and healthier gut environments. As a side note, healthy gut microflora is also associated with a greater number of bowel movements, which can often be an issue for older adults. Therefore, taking probiotics may also potentially make your bathroom time more productive (and your stools softer so they pass more easily), which can make you feel better yet. To find out whether probiotics can help you enter your golden years with greater health and wellness, talk to your healthcare provider. They are a great all-natural solution that may just help you age more gracefully.